As you know, I recently completed a 10-part tutorial series on the SQL Server Management Studio (SSMS). As I finished writing the tutorial, I remembered that one of the issues most SQL Server developers encounter are the slow load times of the SSMS. Sometimes, SSMS is just not fast enough for a quick session. In this post, I will share with you 2 simple tweaks I use to improve the launch performance of SSMS. Almost each dedicated pane in SSMS that allows you to directly interact with your SQL Server instance establishes a connection to the SQL Server. The Object Explorer (which normally opens by default when you launch SSMS) and the Object Explorer Details window launch 2 separate connections to the SQL Server instance, which are in addition to the connection opened by the Query Editor window. 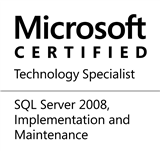 Read my post: http://beyondrelational.com/blogs/nakul/archive/2011/01/17/the-multiple-connections-of-ssms.aspx – for details on this fact. Each new connection means an increase in the resources consumed and additional time taken to establish the connection. Therefore, the first rule of optimizing SSMS launch times has to be to keep the SSMS interface simple and close out any unused panes/monitors open within SSMS. You may want to select either “Open new query window” or “Open empty environment” for some of the fastest SSMS launch times. Starting SQL Server 2012 (code named “Denali”), the “General” page of the Options window has a section that helps you tweak the visual experience of the SSMS based on the client performance. By default the SSMS automatically adjusts itself based on the client performance, and I have found that if I leave it as-is, things work just fine for me. Wouldn’t it be much faster and simpler for a developer to have all these steps rolled up into one? SSMS allows us to specify a few command line options that eliminate the need for a user to select the required SQL Server instance and enter the connection information every time they need to use SSMS. Most developers need to connect to only a handful of SQL Server instances. These instances would not change for the duration of the project they are actively working on and therefore using customized shortcuts for these instances makes sense. -E Connect using Windows authentication. In addition, you may also use the parameters [scriptfile], [projectfile], [solutionfile] to specify a script, project or solution to open by default. I therefore changed my SSMS shortcut to be the following. The shortcut connects to the AdventrueWorks2008R2 database on my test instance. The SSMS would use Windows authentication. As can be seen from the screenshot below, the SSMS launched with windows authentication and connected directly to the AdventureWorks2008R2 database by default. Do you use any methods to speed up the SSMS launch times? If yes, do share your method in the discussion section below. This entry was posted in #SQLServer, Blog, Imported from BeyondRelational and tagged #SQLServer on February 20, 2012 by nakulvachhrajani. In addition, Aaron Bertrand has requested a “pre-loader” process for the SSMS to speed up the launch: [http://connect.microsoft.com/SQLServer/feedback/details/714652/ssms-background-helper-pre-loader]. Do vote in to support the request. Glad you liked it, Datta!